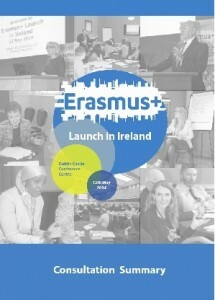 Erasmus+ in Ireland | Enriching lives. Opening minds. you can find more information about funding and opportunities. 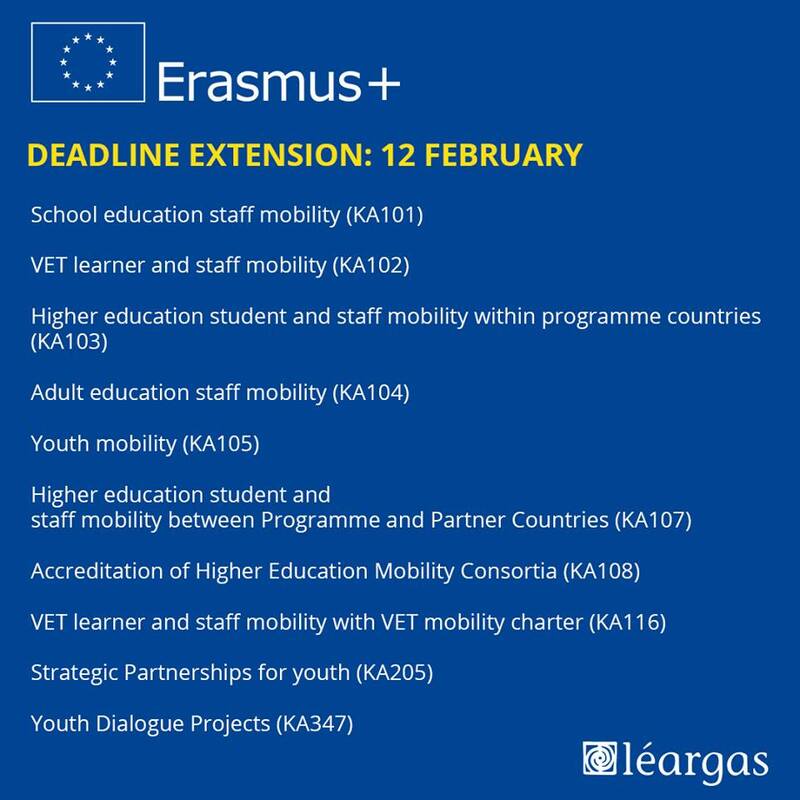 Go to each tab above to find links to more information about Erasmus+ in each field. Find out about the impact of Erasmus+ International Work Placements on Vocational Learners from Ireland. Léargas carried out this study during 2017, examining reports from VET Mobility projects carried out during 2014, 2015 and 2016. Download the report here (PDF). 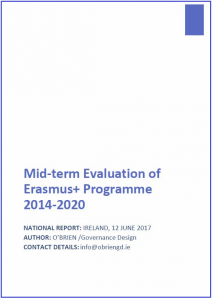 This national mid-term evaluation of Erasmus+ informs a wider evaluation being undertaken by the European Commission as required under Articles 21.2 and 21.3 of the Erasmus+ regulation. 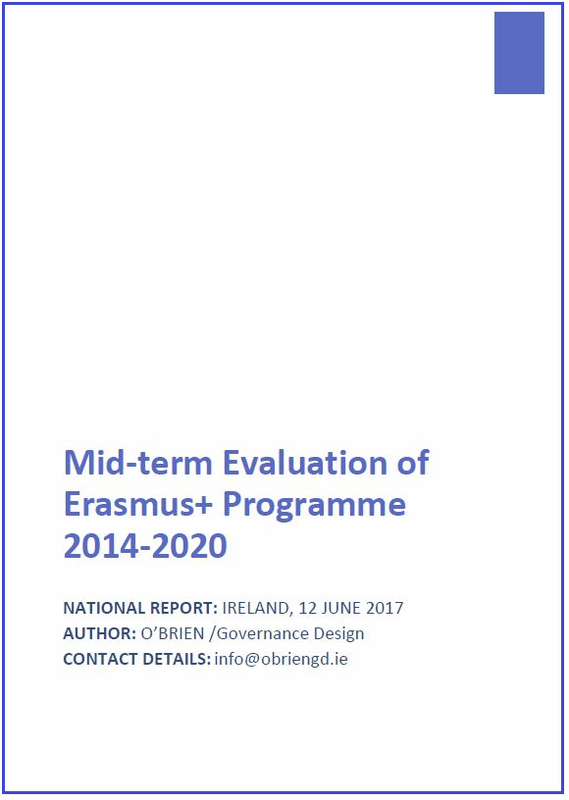 The Irish evaluation was commissioned by the Department of Education and Skills, as the National Authority for Erasmus+, and was carried out by O’BRIEN/Governance Design. You can download a copy of the report here. 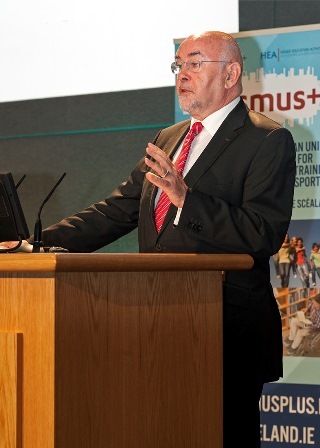 At the launch of Erasmus+ in Ireland in May 2014, Léargas facilitated four workshops at which we asked stakeholders key questions about how Erasmus+ might be implemented in Ireland over the coming years. We wanted to start a process of consultation that will inform the strategic direction of our work in managing Erasmus+ in the youth, schools education, adult education and VET fields in Ireland. We have summarised the outcomes of the consultation in an online document, which you can read here: Erasmus+ Consultation Summary. Erasmus+ was officially launched in Ireland by Minister Ruairí Quinn TD on Monday 12 May in Dublin Castle. Ms Emily O’Reilly, European Ombudsman, gave the keynote address and Ms Runa Gudmarsdottir represented the European Commission. Two hundred stakeholders from the fields of education, training and youth work attended the event. After the opening speeches in the morning, stakeholders attended a series of workshops and presentations, coming together again for a plenary session on strategic partnerships in the afternoon. For more, go to the Léargas press release here or the HEA news item here. The Erasmus+ programme aims to boost skills and employability, as well as modernising Education, Training, and Youth work. The seven-year programme will have a budget of €14.7 billion; a 40% increase compared to current spending levels, reflecting the EU’s commitment to investing in these areas. Ireland will receive €169m of this investment. Erasmus+ will provide opportunities for over 4 million Europeans to study, train, gain work experience and volunteer abroad. Erasmus+ will support transnational partnerships among Education, Training, and Youth institutions and organisations to foster cooperation and bridge the worlds of Education and work in order to tackle the skills gaps we are facing in Europe. It will also support national efforts to modernise Education, Training, and Youth systems. In the field of Sport, there will be support for grassroots projects and cross-border challenges such as combating match-fixing, doping, violence and racism. Click any of the tabs above to find out more about how Erasmus+ will work in different fields.